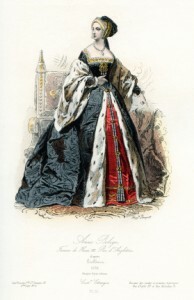 “The Downfall of Queen Anne” is Part 29 of Esther Hyams’ series of poems on the life of Anne Boleyn, from childhood to her fall and execution. Awash with rumours of rise and fall for all to hear and see. She had no power base, surrounded by hateful strangers. Buying silk nightgowns, hair ribbons: spending did not abate. Furthering the Seymour’s cause and the favours they brought. And who nearer then a possible next wife, a virtuous flower? Including the Lords and nobles who thought the Boleyn’s too bold. Would there ever be an accord between England and Spain? Could the Spanish Emperor bear the insult of his aunt’s pain? And the idea of Anne being replaced could begin a peace process. Would bring much comfort to joy to many a Catholic man. On a dark formidable day for Anne, on 31st March 1536. Cromwell agreed, resolution with Spain could be regained. And this secret conspirator’s talk would crown and seal it all. These three things would bring Queen’s Anne’s last breath. 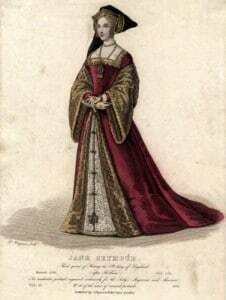 Jane Seymour’s refusal of royal gifts brought contemplation. To the devilry and malice of Anne, this would be a cure. That was far from Anne Boleyn’s dark eyes and radical views. I don,t care what anyone thinks or says I love Anne Boleyn and Elizabeth the !st. and what ever history comes up with I,d rather them as our ancestors than any one else.Imagine an England If they had not existed. We would all be answerable to Rome to this day . Thank them for freedom of religion in England at that time. That was beautiful, and I am in total agreence with you Sharon. I have always Loved Elizabeth I, not until a year ago did I start to realize the wonderous, brave and alluring woman her mother, Queen Anne, had been. I don’t want to know a world where Elizabeth never asscended or Anne didn’t become Henry’s second wife.